For nearly 90 years, the “Hotel Easton” has been the premier site in Lehigh Valley for corporate meetings, social events, weddings, and family gatherings. 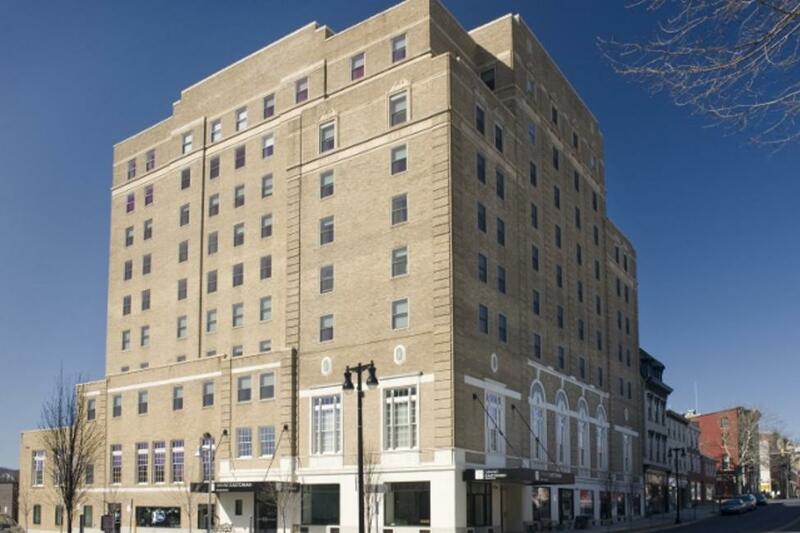 After extensive renovations, the Grand Eastonian Hotel & Suites continues this iconic tradition. Located just off the spacious and elegant, yet comfortable lobby, the Gold Room has been updated and retains the original floor to ceiling windows for great light. The space is well suited to accommodate meetings and events for up to 100 guests. With the Terrace area, the space can expand to accommodate 175 guests with a view of the river. The Club Room is an ideal spot for breakouts or smaller group meetings. The area also serves as the breakfast area for overnight guests. Executive meetings can also be held in the luxurious private guest suites situated throughout the Grand Eastonian. 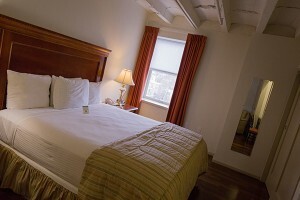 Guest rooms are environmentally responsible and uniquely designed. Spacious suites have panoramic river views and a loft-style design featuring rustic concrete beamed ceilings and wooden floors. Amenities include complimentary continental breakfast, free wi-fi, a spacious onsite fitness center, heated indoor pool, and a guest laundry. Onsite catering is available from The Green Harvest Food Emporium, featuring locally sourced, fresh ingredients. Come experience the restored elegance of The Grand Eastonian, located in Easton’s historic district with award-winning restaurants just a short walk away.